Little Bear turns 4 tomorrow and he loves the television show, Paw Patrol. His favorite character is Chase. The show is on Nick Jr. and features seven rescue puppies. Each of them have special rescue duties which are sort of based on their breed. All of their names, breeds and rescue duties are puns which makes the show entertaining for adults to watch with their kids. Chase - Chase is a German shepherd and he is the police pup. Rocky - Rocky is the only mutt and he is the recycle pup. Marshall - Marshall is a Dalmatian and he is the fire rescue pup. Skye - Skye is a Cockapoo and she flys. Rubble - Rubble is a Bull Dog and he is the construction pup. Zuma - Zuma is a Chocolate Lab and he loves to surf so he is the water rescue pup. Everest - Everest is the new pup that was introduced this season. She is a husky and lives with Jake on the mountain. Everest is the snow rescue pup. Do your kids watch Paw Patrol? 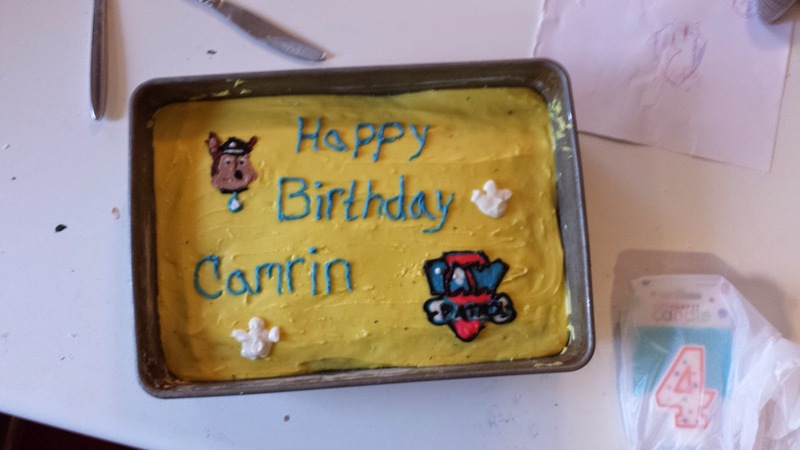 Every year for my kids' birthdays I bake them a special cake. 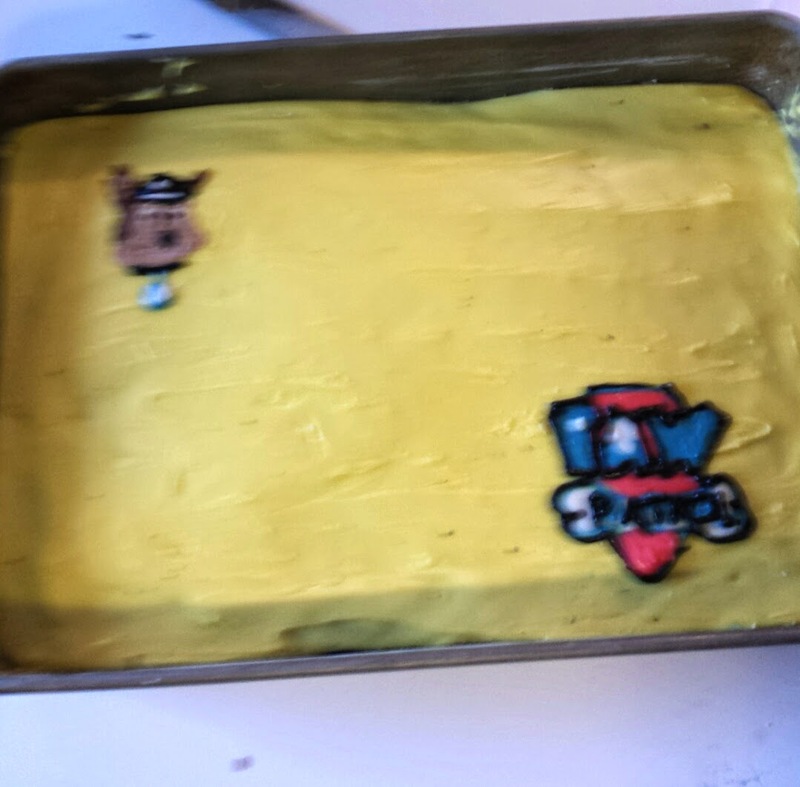 I make colored frosting and create an image of their favorite characters for their special day. 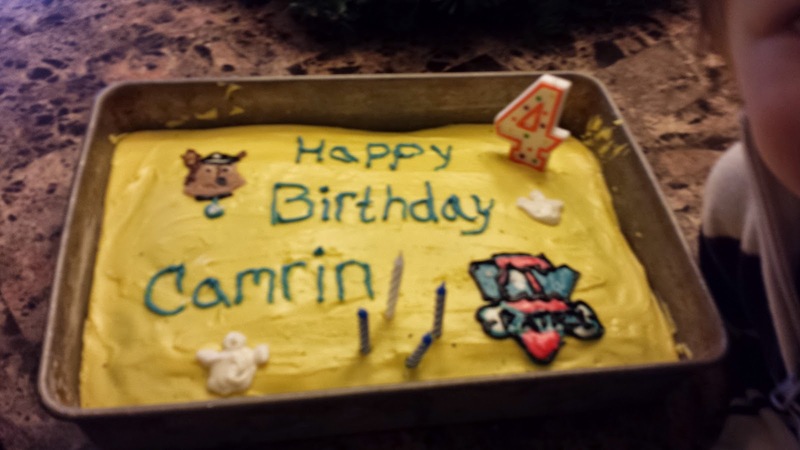 Below are the steps I took to make Bear's Paw Patrol Cake. I started with a plain chocolate cake. 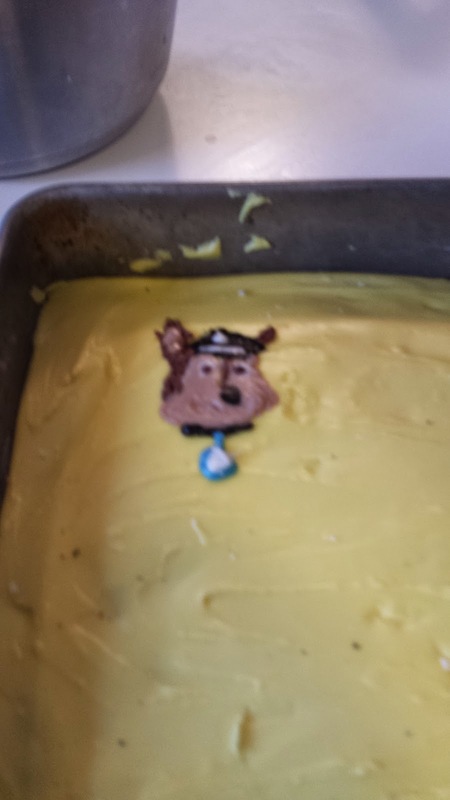 Then I printed out the images that I wanted to recreate in frosting. After that I determined how many different colors I would need. Then I made white butter cream frosting and separated some of it in mugs to make the different colors. I used food coloring for blue,black, red and the yellow background. Cocoa was used to make dark brown and light brown. 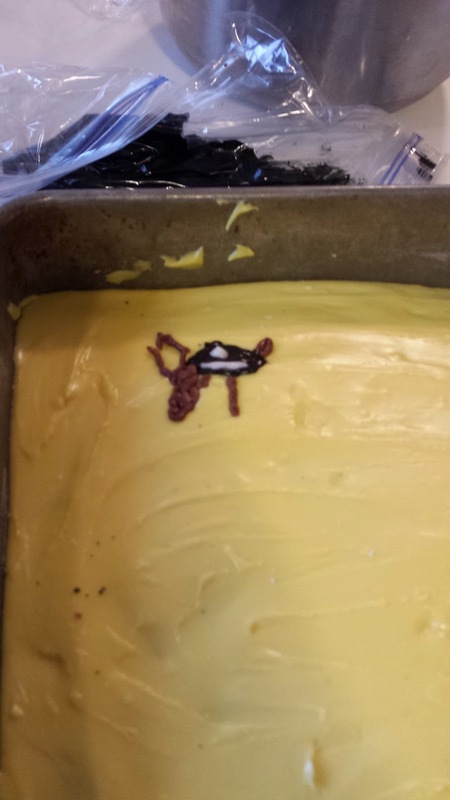 I also set aside some of the white frosting. The images I attempted to recreate. 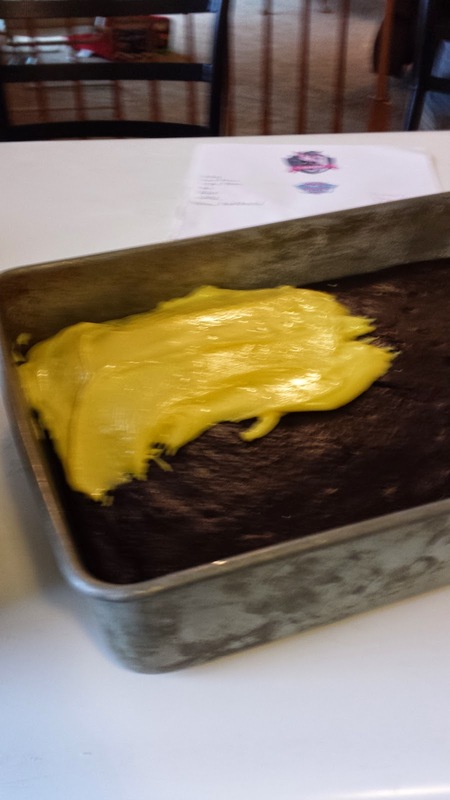 Covering the cake with the yellow frosting. I pipe the frosting out in sandwich zip-lock baggies with one corner snipped. 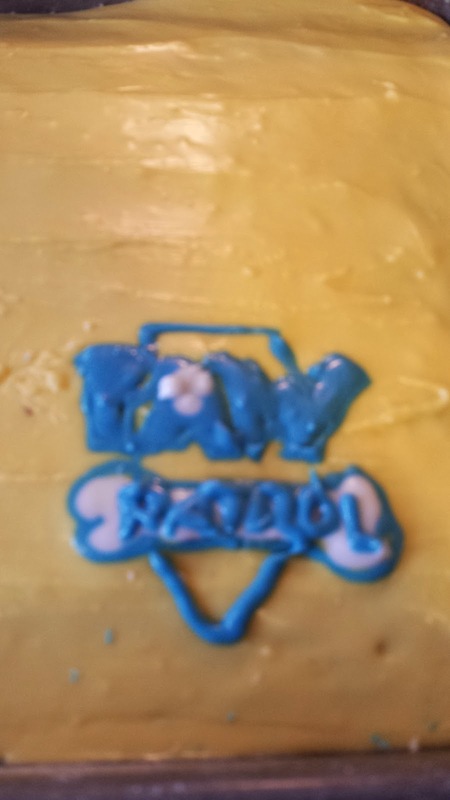 When you don't have professional cake decorating tools zip-lock baggies do the trick. 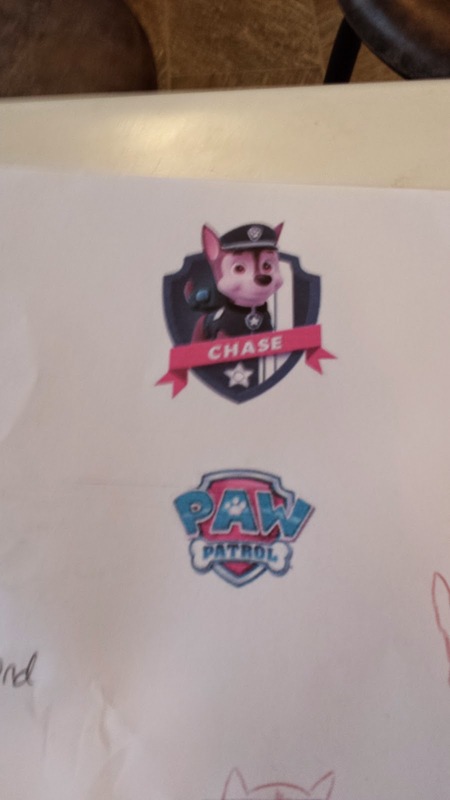 Making the Paw Patrol logo was very challenging. 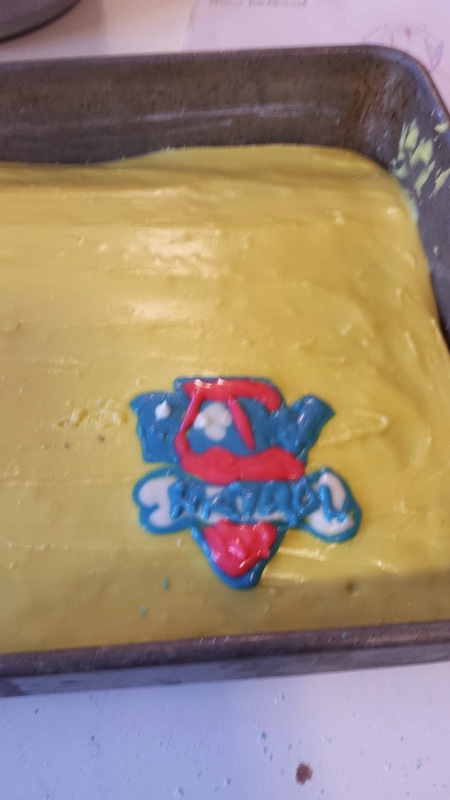 I learned that my frosting was a little too thin. So, I had to add more powdered sugar. Sorry this is blurry. Somehow my anti-shake function on my phone's camera app got turned off. 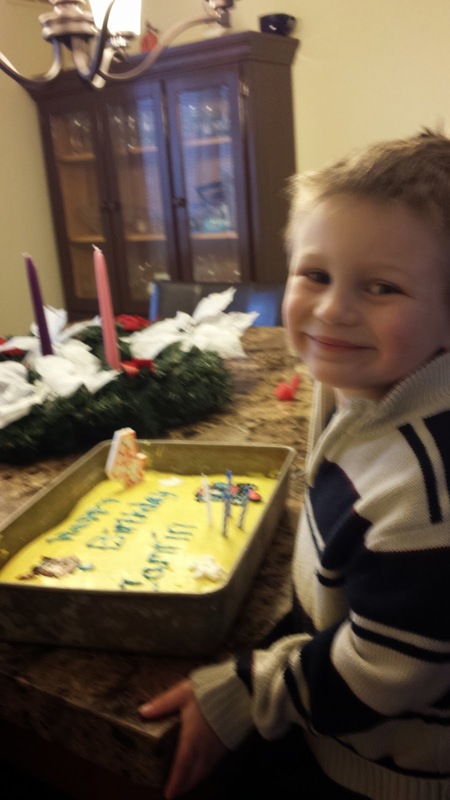 I think he liked his cake.